Another Friday has rolled around which means it's time for a new Sketch Challenge over on the Scrapmuch? blog. Team B are up this week so I have a layout for you, and I was a very good girl for digging into my paper stash this time around. I decided to use some I've had for a couple of years from the MME Lush collection which is pretty monochromatic, so I paired it with touches of gold........a hot trend right now. I put the trusty Silhouette to work in cutting a heart and a 'Polaroid' style frame with wording added. Embellies are in the form of sequins, twine, buttons, and some acetate stars from Heidi Swapp I also found in my stash. More cutting for the title.........all of the gold pieces are cut from a single sheet of Bazzil foil cardstock I found in a 'winnings' stash I received a while ago. Finally, a few layered pennants, brads, and a little doodling through a honeycomb stencil from The Crafters Workshop. That's about all for my page, but here is the awesome sketch Laura provided for this weeks challenge. I flipped it 90 degrees clockwise to accomodate my photo's. Why not try your hand at this one and link up over on the Scrapmuch? blog to be in with a chance of winning a prize? You have until the end of the month to play along with any, or all of the four sketches provided. 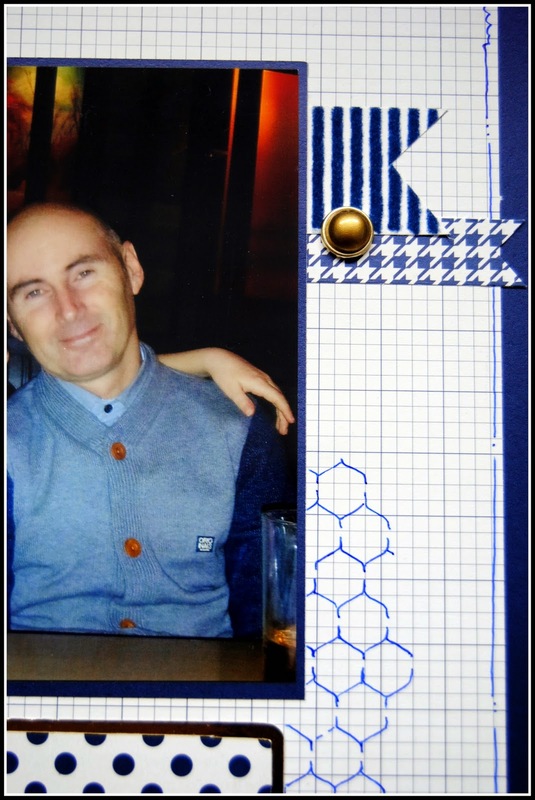 We also have a couple of new DT members joining us.......intros are over on the blog so why not drop by and say 'Hi'. 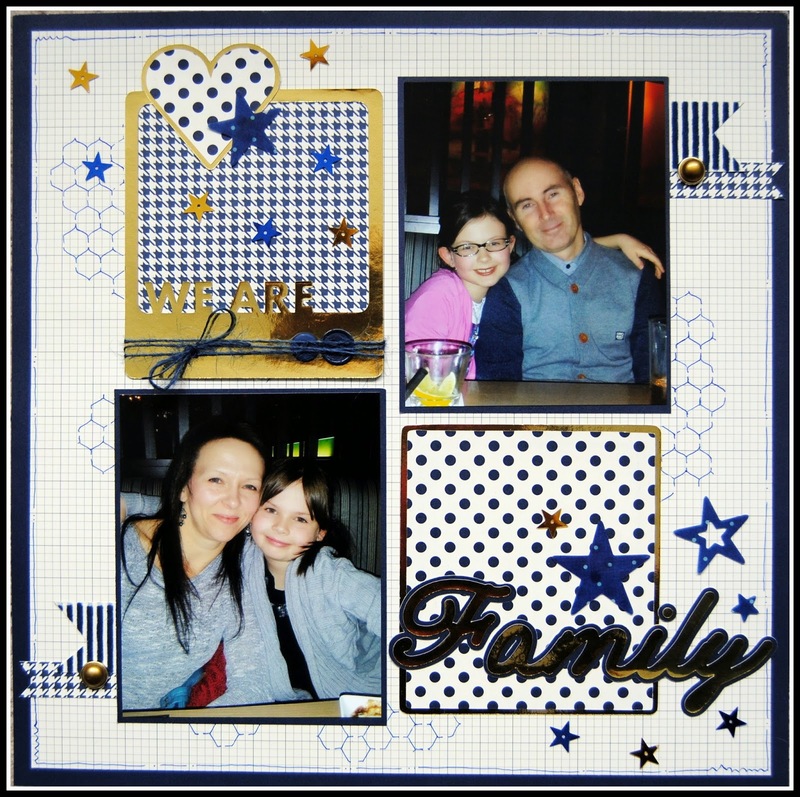 Lovely, Always love it when you include everyone in your family on your layout! Beautiful. 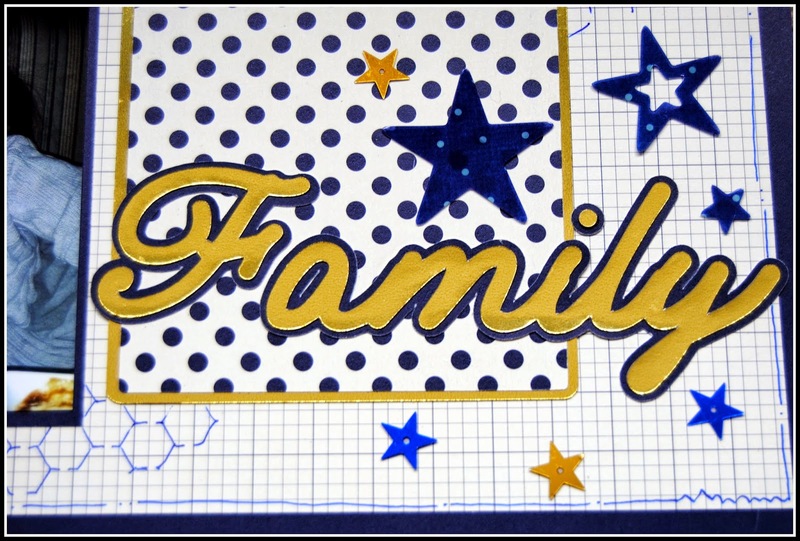 Love your "FAMILY" wording. Great take on the sketch! This is a wonderful page, Jayne! I love the cool, crisp look and yet the feeling is warm. Fabulous, Jayne! Wonderful photos too. I hope your computer (and other appliances) behave over the weekend for you! 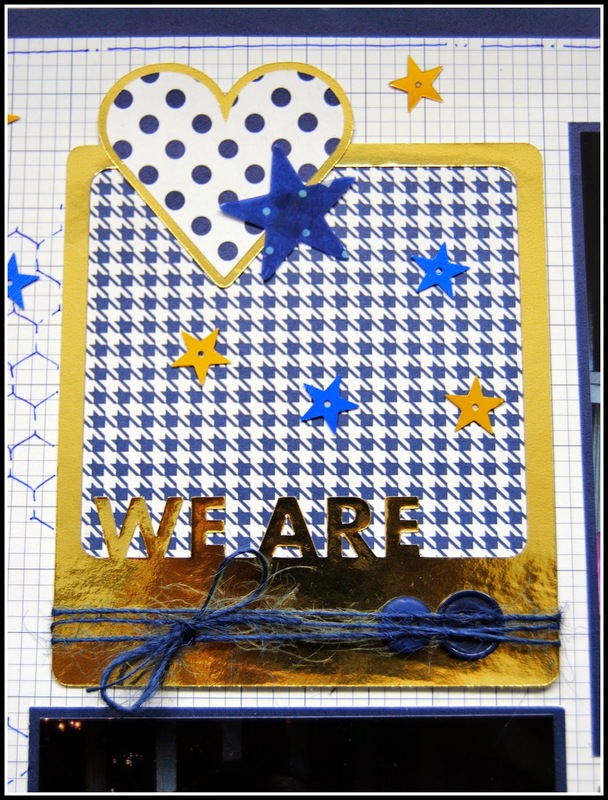 Love your pop of gold with all the blue....great combo! Lovely family photos! Loving this page Jayne!! WOnderful! Gorgeous, best layout I have seen with this collection, love the pops of gold! You have inspired me! you colour choices really pop! You totally nailed the gold trend with this layout! The papers are totally perfect for the pix too! Fabulous!